Kristen Wideen and I are pretty excited to have our book Innovate with iPad: Lessons to Transform Learning in the Classroom available for purchase worldwide through amazon.com. It was certainly a labour of love but we are so excited it to see it in the hands of technology coaches and classroom teachers around the globe. If you aren't familiar with our book like me tell you a little bit about it. Kristen and I are both elementary school teachers with a range of teaching experience. 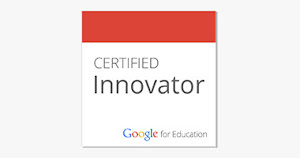 We are also both Apple Distinguished Educators who have access to iPad for our students. She and I both quickly learned that iPad is far more than a tool to do "fun" drill and practice activities with but a tool that can allow students to create their own content. While we realize there are some great drill and practice type apps, and there is a time and place for those too, we certainly spend far more of our day having our students create their own work, then rely on consumption apps. What we've learned by having our students create content, particularly in an open-ended environment, they know far more than we've given them credit for. Open-ended activities allow our students to really show us what they know or in many cases what they don't actually know even though they are able to answer questions correctly or quickly. Using iPad in our classrooms has really made a difference with our students thinking and understanding. Their learning has improved. Our book features five open-ended creative apps. 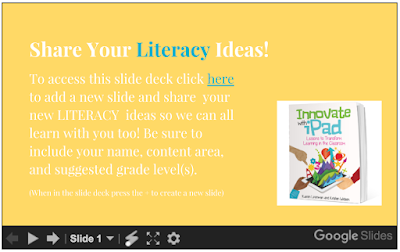 These apps include Pic Collage, Popplet, Draw and Tell, Book Creator, and Explain Everything. 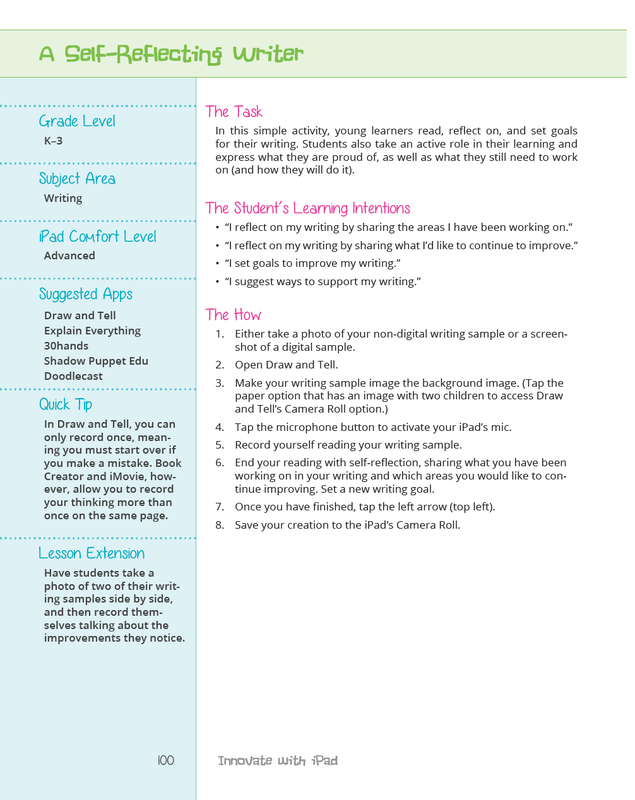 We have found with these five apps our students can create most of the content they need. However if you are using different apps with your students, many of our lessons can apply to your specific apps as well. We have also done our best to include other apps that can replace these apps. We realize many districts are limited to free apps, but even with free apps (PicCollage, Popplet Lite, and Draw and Tell are all free!) there is so much that can be done with iPad. After introducing the five key apps we also talk about some of the features of the book. 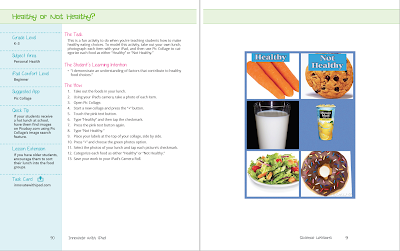 Kristen and I spent a great deal of time creating the ideal layout for this book so that it can help teachers quickly find what they are looking for. 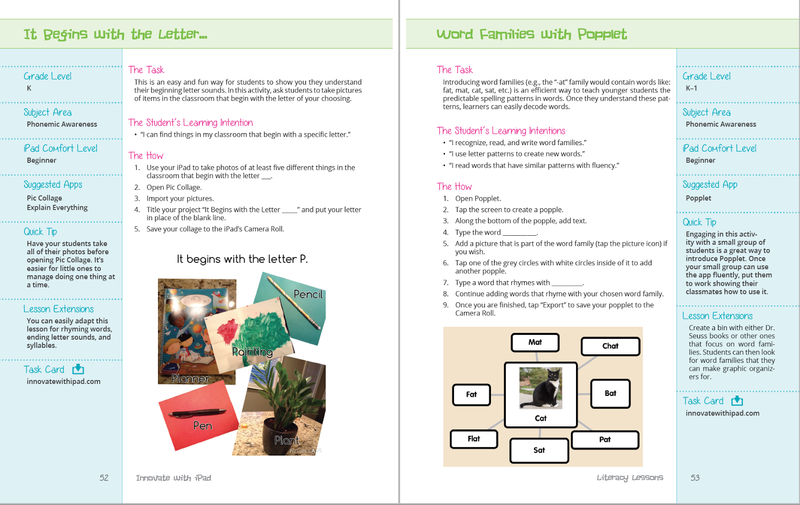 We have labeled the lessons into specific grade levels, and iPad comfort levels, as well as possible lesson extensions. 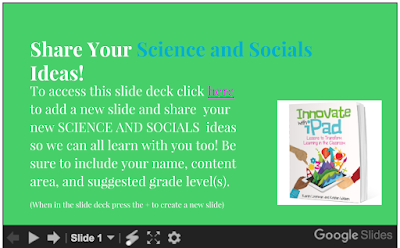 In addition most lessons have student samples and some even have links to video samples. Many of the lessons also have downloadable task cards that you can give to your students to help them work more independently in an iPad station setting. 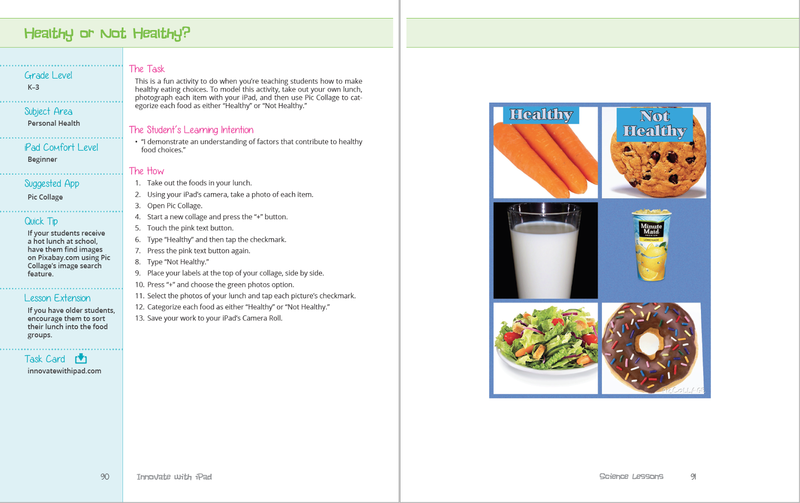 Our book is beneficial for teachers with one iPad or with one iPad per student and everything in between. There are five key chapters in this book that divide our lessons up. 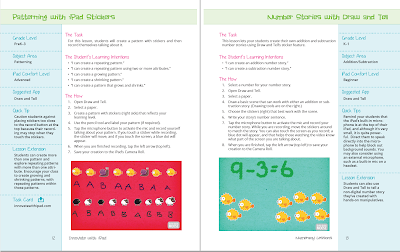 The first chapter has lessons focussed around numeracy and iPad. I think Kristen and I could have written an entire book on just numeracy and iPad lessons as there are so many ways to use iPad in a numeracy classroom. 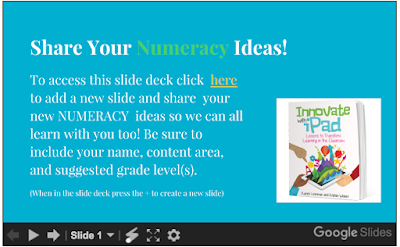 We have provide many lessons, most of which can be adapted up or down to meet your students specific numeracy needs. In fact one of our reviews actually mentioned how he could use some of our numeracy lessons with his university students. 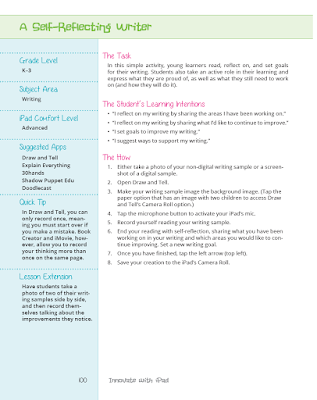 The next chapter focuses on literacy and ways iPad can be used to enhance and support your literacy program. Again many of the lessons can be used at various grade levels. Our hope is that you will see the lessons that we have shared and you will be inspired to create some new lessons for your students. Our book is meant to be a starting point, not an end point for innovation with iPad. We then have chapters focussed on science and social studies lessons. 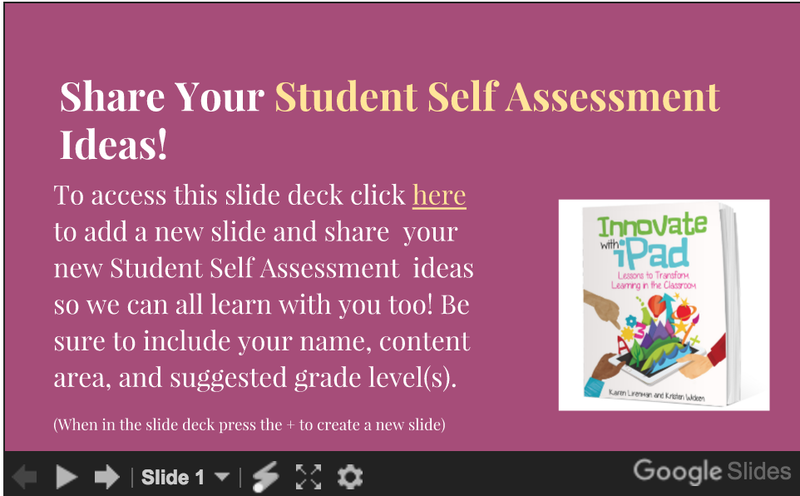 Once again the content part of the lesson can be swapped out to meet your students' individual needs. In the final chapter of the book we take a look at ways an iPad can help with student self assessment. At the simplest level having students be able to add voice to their work, and talk about what they did, what they are proud of, what they worked hard at, what they still struggle with, and set goals for their future learning can have a huge impact on future student learning. It's exciting that iPad can play an integral part of this learning and growth. To accompany the book Kristen and I have created a website. Here you will find all the student examples as well as access to the downloadable task cards. 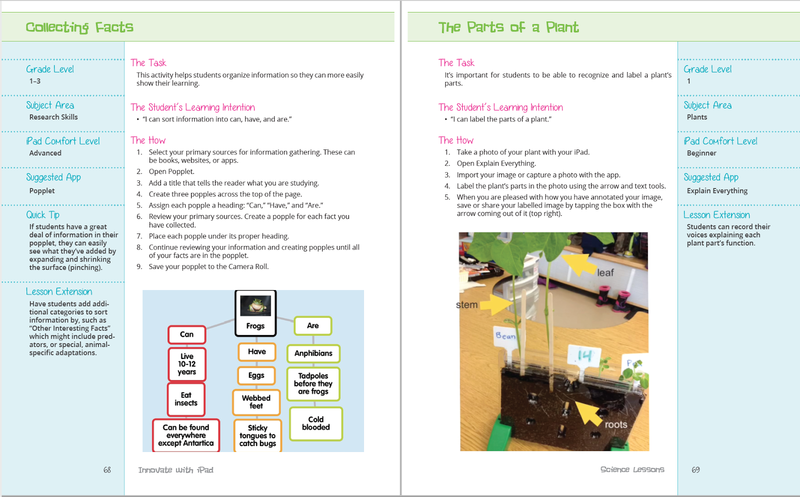 Many teachers have found both the student examples and the downloadable extremely helpful in their classroom environments. As I mentioned earlier, Kristen and I would love for this book to continue long beyond its purchase. To help support this vision we have created a space on the book's website to collect and share the great ideas this book is inspiring in your classrooms. You can find this special sharing area under the "Let's Share" section of the website. 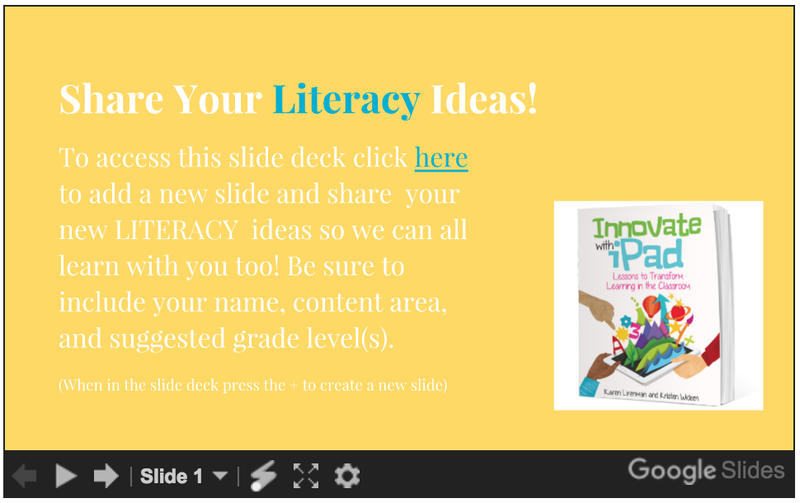 Here you will find four Google Slide presentations with easy to follow instructions on how to add your ideas to the slide decks. Our vision is that this book will continue to inspire educators for years to come. 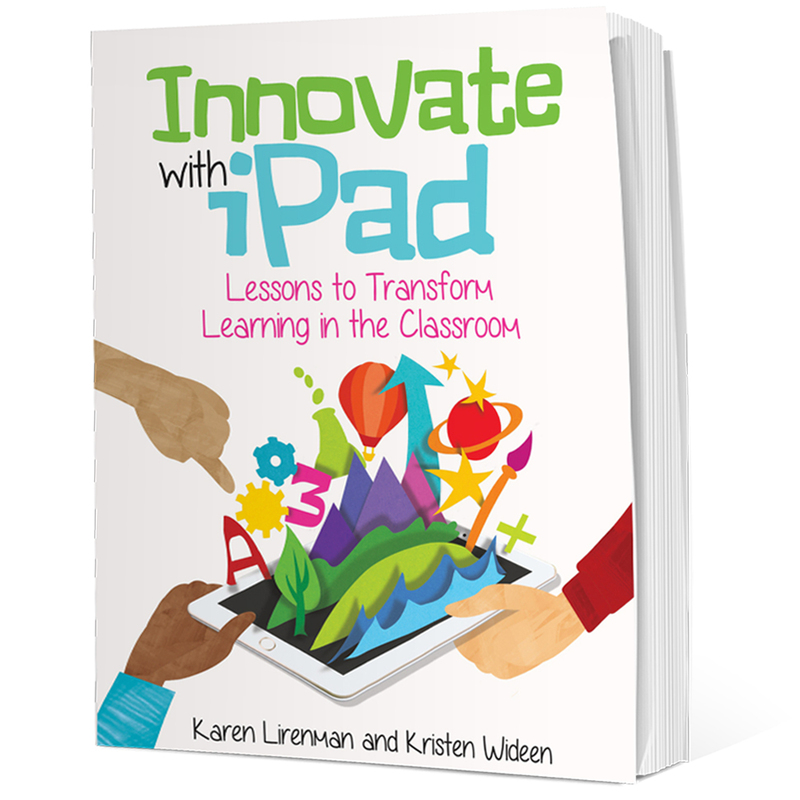 Kristen and I also have created the hashtag #InnovatewithiPad as a place to continue the sharing. Stay tuned as well as we hope to host some twitter chats to accompany the book. We really want this to be a living book that will continue to grow in usefulness. If you want to stay up to date on these twitter chats and other future adventures with the book please add your name and contact information to this form. We will do our best not to send out too many emails, and of course you can be removed from the list at any time. We respect your privacy. As you can imagine, Kristen and I are excited about the resource we have created and we hope that you will find it of value too. If you have not yet purchased your copy please head over to Amazon.com or Amazon.ca and order yours. If you are reading this and work for a district or school and would like to purchase multiple copies for your environment, please leave us a message with the approximate number you'd like to order and contact information (email works best) and we will be in touch as quickly as possible. You can leave us a message through the contact us link on the book's blog (or via twitter, this website, Kristen's website, or any other method you have to get a hold of one of us :-) ) . Thank you! !